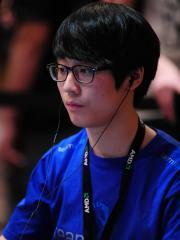 Yoon "TaeJa" Young Suh is a Korean StarCraft II player. At present, TaeJa is ranked #317 in highest overall earnings, and #61 in highest earnings for players from Korea, Republic of. Before his 18th birthday, TaeJa was awarded $84,662.60 in cash prizes from 40 tournaments. 29.06% of his total prize money was earned before January 1, 2013. Out of the 107 tournaments awarding cash prizes that TaeJa had competed in, the largest amount was $30,547.46 from DreamHack Winter 2013 (StarCraft II) on November 30, 2013. His 1st place finish makes up 10.48% of his total prize money won. On June 23, 2013, TaeJa arrived at the $100,000 milestone, winning $10,000.00 and placing 1st at HomeStory Cup VII. Prize money from 48 tournaments got him to that point. TaeJa has been awarded $60.00 in cash prizes from a single tournament within the last 90 days, none of which came in the last month.